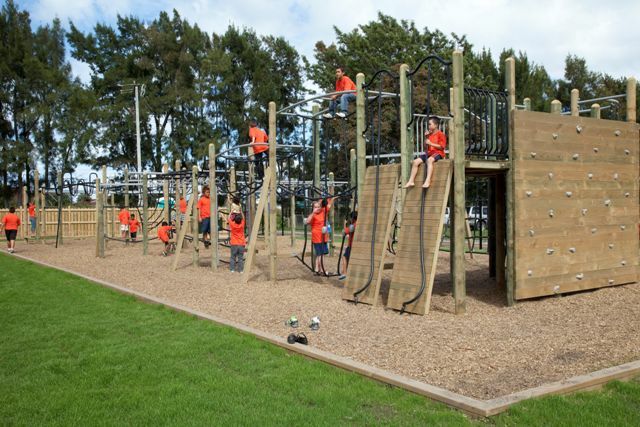 The Children's village is based in sunny Gisborne close to the beach and airport and right next to Rugby Park. We offer a unique, village-like layout to foster a sense of communal spirit in our children and families. It provides for children and family living on the East Coast, Gisborne, Hawkes Bay, and Waipukurau. The Children’s Village is set on 4 acres of grounds that includes a BMX track, a summer swimming pool, a basketball court, trampolines, a playground area and a fabulous challenge course. We design a programme for each group that includes a range of activities and adventures on and off site that will excite and extend you. Our range of activities and adventures include hiking, biking, fishing, surfboarding, kayaking, feeding the stingrays, cultural and educational visits to venues of significance, music and drama, Kapa Haka, and movies at home, are included in the programme. The village comprises four houses, three of which act as warm, spacious “family” homes for the children to live in with the fourth as the administration block. A central whare acts as the focal point of the village and allows children and families to experience Marae style living. The children’s houses are arranged in age and gender, we have two boys houses, seven boys aged 5 to 8, seven boys aged 8 to 12 and seven girls aged 5 to 12. The houses are beautifully appointed with each child sharing a bedroom with one other and separate lounge, kitchen and bathroom facilities provided for each group. You will have your own bed space complete with cupboards, drawers and a display area for photographs, certificates and awards that you will earn, while staying with us. Children are encouraged to bring a special toy with them, photos of the family/whanau, and other treasures that will allow you to feel comfortable.